Seamonkey 1.0 users should now be able to join in the Remember Mismatched Domains fun. If you’re a Seamonkey user looking to remember mismatched domains you can install version 1.1 of the extension from here. Please add a comment if you find any issues. Awesome! Thanks so much for making this. 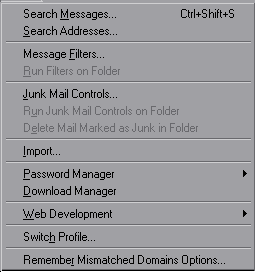 The pop-up dialog in Thunderbird on every single mail check was driving me nuts. Hi. I would provide a German translation if you wish.